Tapatalk has crash landed and has taken over the forum! It has occurred to me that up until this point we have had no good way to interact with the forum from our mobile devices. This is a big problem because that means that we are not able to respond in good time to replies to our threads, or not at all even if you don't have email notifications set up. I have taken this into my own hands and decided to link our forum with Tapatalk and create a dedicated group in order for us to read/write to the forum on the go. Simply search for it on Tapatalk and follow the group, logging in with the username and password you specified when you registered for the forums. Then go to the forums you want to get push notifications for, and enable push to feed. This is revolutionary for the server because now we can have an active forum once again, and people won't have to deal with the clunky mobile website when you can do everything from Tapatalk. We've introduced Prison back on the network once again! After many ban evasions using our discord server, I have taken it upon myself to enhance security on the server by linking warnings, bans, chat, anti-swear, etc. with our discord server. In order to do anything on the discord server, you are now required to link your discord id with your minecraft account using a code given to you in game. That way if you ever evade with a proxy, or get banned from the server, you can no longer do anything on the discord server. This prevents people who are banned from harassing staff and the person who reported them, through the discord server of all things. 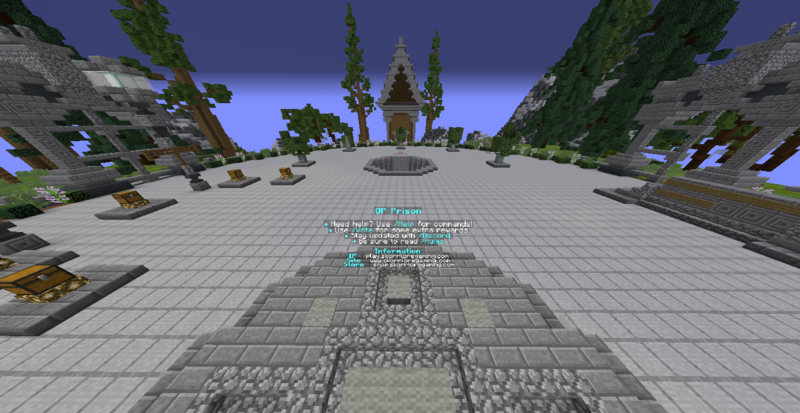 You can thank this enhanced security partially for danielpmc who took advantage of the system on multiple occasions which directly influenced the enhanced security measures you see today. Due to the influx of complaints from players on the server about the design of our previous forum, I have taken it upon myself to put down a lot of money into a professional forum for our network. You will begin seeing the same things you saw posted before, but this time reposted on our new forum. One of the best new features you will notice is that you will finally be able to properly embed youtube and vimeo videos inside your ban reports, so now your reports will look professional once again just like they did last time we had XenForo as our forum software for the server.